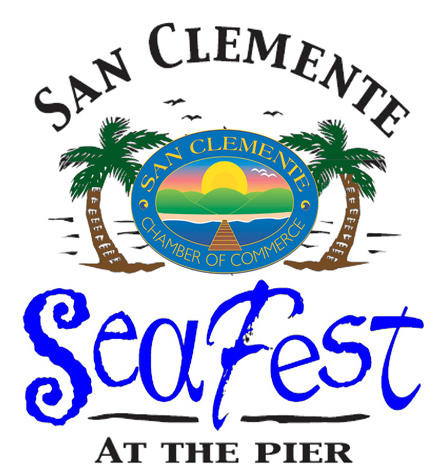 Mark your calendar - The San Clemente Chamber of Commerce is hosting the 32nd Annual San Clemente Seafest on Sunday, October 6, 2019 sponsored by Fisherman’s Restaurant and Bar, Southern California Edison, CR&R Environmental Services, The Toll Roads of Orange County, Farmers & Merchants Bank, Murf Electric Bikes, The Crab Pot, The City of San Clemente, Catalyst, Universal Press, Cassano’s Pizza, San Clemente High School & Sign Lingo. The Seafest features a Chili Cook-Off, Fisherman’s Lobster, Business Exposition, Arts & Craft Show, Surf Contest, Children & Teen Contests, Children’s Complementary Arts & Crafts, Entertainment and a U.S. Coast Guard Search & Rescue Demo Operation all taking place at the historic San Clemente Pier area. The Seafest features a Chili Cook-Off Competition held on the historic San Clemente Pier. Area citizens, restaurants, and businesses contend for the best tasting Chili this side of Texas. Visitors arrive from all over the county to sample the many unique variations of Chili. Market your business to over 5,000 people and have a great time doing it. The Chili Cook-Off is a great opportunity for businesses to highlight their goods & services. As a contestant, you have the benefit of displaying your promotional and marketing material to thousands of visitors. Utilize your decorating skills and create a booth, which reflects your enterprise. By participating in the Cook-Off your company name will be displayed in numerous advertising pieces and as a winner; your business will be listed in the local papers. Individual Teams and Clubs & Organizations eagerly await the annual Seafest. These folks have favorite recipes, some passed down from generations. Contestants in the “Individual Category” bring their friends and family and make a celebration out of the competition, including decorating their booths to suit their festive style, all to the delight of the attendees. As a restaurateur, you consider your Chili to be the best. Showcase your outstanding blend and see where it stakes up again the other area establishments. What a terrific way to market your business. In addition, Seafest guests are sure to visit your restaurant, post event, to enjoy more items on your sumptuous menu. Individual/Business and Restaurant teams are required to cook a minimum of twenty gallons of Chili. Spectators purchase tickets for tasting prior to and during the event and decide which contestants Chili they would like to try. There are five tastes per ticket and tickets cost $10.00. Chili tasting begins at approximately 9:30 a.m. and concludes at approximately 1:30 p.m. The Chili is judged on a point basis for overall Best Tasting Chili. Each team receives a judging cup prior to the judging period. Contestants then bring their Chili to the judging area by 9:15 a.m. The Best Decorated Booth award will be determined by our judging panel based on point’s awarded for originality of costume and booth decorations. The People's Choice awards will be judged by individual taster’s ballots. Fishermans Restaurant and Bar will be serving a variety of their culinary delights right on the beach - fresh seafood such as lobster, Oysters on the Half Shell, crab, steamed mussels and clams and much more. The 22nd annual CATALYST Surf Classic is held at the Seafest. This surf competition event features local amateur surfers-children & teens, competing for 1st, 2nd, and 3rd place awards. With an audience of over 3,000 people expected to attend, the Seasfest Business Expo is a great opportunity for businesses to highlight their goods and services. The Expo gives companies direct contact with numerous potential new customers in a single day! This Exposition is one of our many Chamber benefits. You must be a member to participate. Registration cost is $200.00. Space is limited, so sign-up soon and don’t be left out of this unique marketing experience. Market your business to thousands of visitors in just one day, while enjoying the beautiful San Clemente Beach. What a great way to obtain business exposure and promote your product or service. Contests, including prizes for First, Second & Third, will be held for children & teens - Contests: Hula Hoop Contest, Jump Rope and Tortilla Toss Contest. The Seafest hosts complimentary arts & crafts for children including Beads to make key chains, necklaces and bracelets; Sticker Art and Face Painting. The event will also include the United States Coast Guard Search and Rescue performing a Demo Operation, Balloon Art and much more. Sponsoring the Seafest is a tremendous opportunity to develop public awareness of your business and/or service. It also sends a message of your willingness to extend goodwill toward your community. The Chamber would be honored to market your enterprise at this family event. Overall Event - 9:00 a.m. until 3:00 p.m. Please arrive at least 45 minutes before the start of your heat division to check-in. ONLINE REGISTRATION CLOSES at 7pm on Friday, October 4th. Heat Schedule will be up on website and emailed to participants by 2pm on Saturday, October 5th. ***Please Note: Beach entries are available.